8. 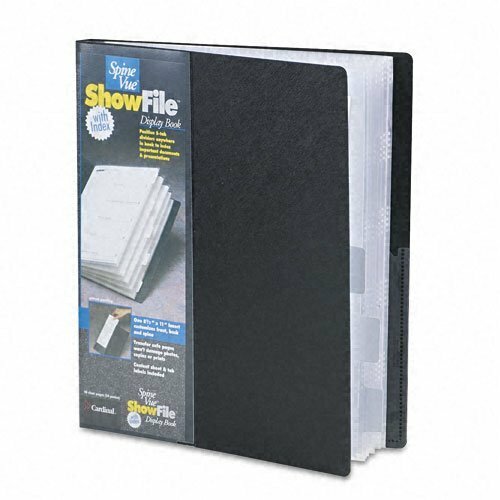 EZD Non-Stick View Binder, 1"
18. ANG120D Magazine Cover, 11-1/4"
Designed with international document sizes in mind. Accommodates European (11-5/8"x8-1/8"), South American (11-5/8"x8-1/2"), Asian and Australian sizes. Four round rings are back mounted and allow front cover to be folded under when in use. Clear overlay for customized titles on front cover. 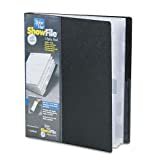 Made of durable black poly material, it features Velcro tabs that secure the ShowFile open and keep it flat when closed. 1" binder has DublLock round rings to keep sheets secure. 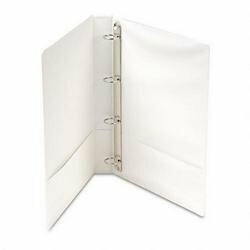 2" and 3" capacity binders feature a unique easy-load straight post mechanism which lets you add sheets to front or back of binder. Nonglare clear overlay and two inside vertical pockets. Hang in most file drawers, desk drawers or drop files. Feature retractable hooks which pull out to hang and retract when not needed. Clear overlay, two interior pockets with concealed-rivet construction. Sheet lifters included on the 3" size. Exclusive non-stick material is ideal for preserving important presentations. Non-Stick material ensures no print transfer from printed materials to clear overlay or inside pockets and panels. Locking EZD ring design holds up to 50 percent more pages than round rings and 20 percent more pages than slant rings using the same shelf space. Archival safe and acid free material provides maximum document protection. Ideal solution for storing various sizes of global documents. Four round rings aligned with standard A4 paper holes. Holds European size 11-5/8 x 8-1/8, South American size 11-5/8 x 8-1/2, as well as Asian and Australian sizes. Clear front cover and spine overlay for customizing. 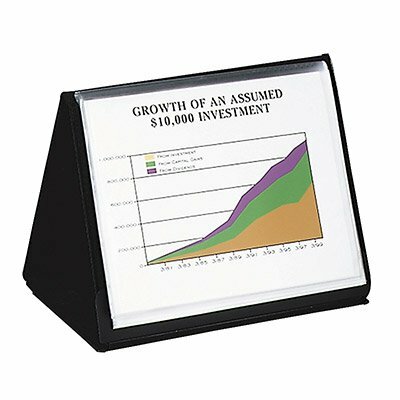 A convenient and functional binder that folds back to form an easel for presentations in landscape (horizontal) format. Includes eight presentation sheet protectors. Crystal clear overlay on front, spine and back cover. Exposed rivets on spine . Two interior storage pockets for loose materials. Unique bound presentation book available with or without five tab repositionable index dividers. Clear poly pages won't damage photos, copies or prints. Includes contents sheet and tab labels. Cover features a wrap-around SpineVue pocket for easy insertion of a single sheet to display on all sides of the book.